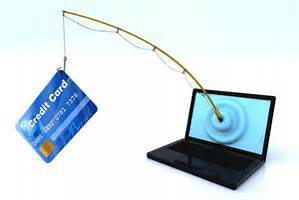 Phishing scams are on the rise, with over 85 percent of businesses having fallen victim to some type of phishing. This is a seemingly simple type of attack, but they’re so successful because they are targeted at unsuspecting employees and leverage social engineering to get the job done. Hackers realize the weakest link to most businesses are their employees, so that is the focus of most attacks carried out in the past year. Considering how successful phishing has been just in the past year alone, obviously attackers will continue using this method of attack and come up with new and more creative ways to succeed. Because it can seriously damage, or even take down, an entire small business, in this podcast we’ll explain what exactly phishing is, how it works, and how you can protect your business from being scammed. We offer comprehensive Online Safety courses to train you, your children, and your employees how to recognize and avoid cyber threats at https//cyberdefense.biz. Enrollment in our courses start as low as $9.99.